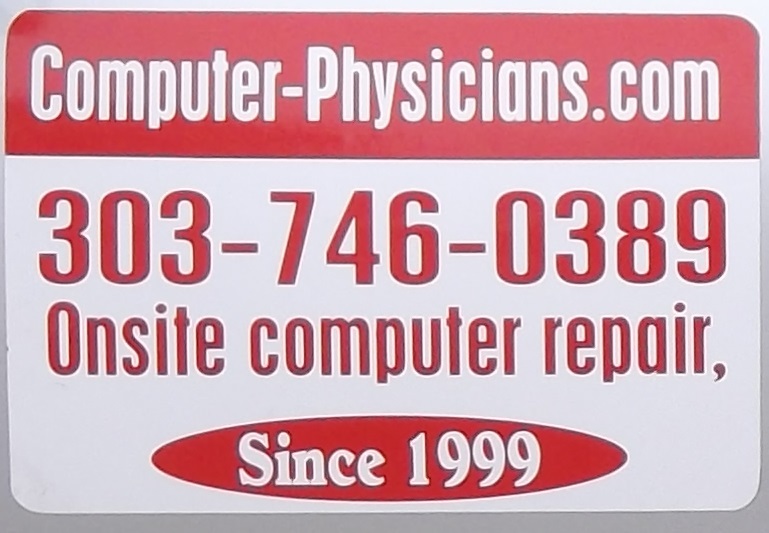 In addition to personal onsite help at your location or in-shop help in our workshop Computer Physicians also provides remote PC computer help for just $59/hour. Just contact us and we will arrange a time to help you with your computer issues remotely through the internet. We can also provide computer training, tutoring, software instruction (including Song Director) and classes in person or remotely. By using your internet connection we can access your computer temporarily to fix your computer problems. We use a secure connection and once either one of us log off, the session is ended and would need a new password to reconnect again. We are located in Longmont, Colorado, USA.